On a test-run of the Mini Merry, Usopp tells Brook the story of the Going Merry, a ship that served the crew well. 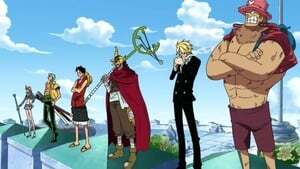 However, to the Straw Hats, the Going Merry was not just a ship: It was a priceless, irreplaceable friend. *Scenes have been recreated with brand-new animation.